The bottom browser panel allows you to submit your articles to each of the article directories. 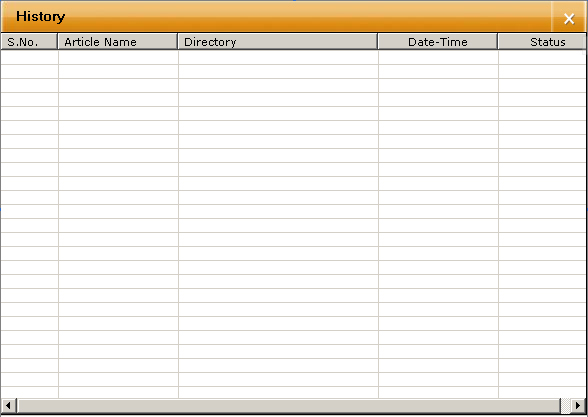 This panel acts as a web browser, changing as you select a specific website directory from the above directory panel. To select a website in the directory panel, simply double click on the row and it will appear in the bottom panel. i. Directory: Shows the URL of the Directory that is selected under Article Directory. If the multiple directories have the same URL, then all those having same URL get selected too when one of them is selected by the user. ii. Google Page Rank:This option shows the Google page rank of the selected directory article. iii. Home: Displays the home page. It is similar button as available in standard web browser. iv. Back: Displays previous page. It is similar button as available in standard web browser. v. Next: Displays next page. It is similar button as available in standard web browser. vi. Stop: This allows you to stop the downloading of the web page that is currently loading. It is similar button as available in standard web browser. vii. Refresh: This allows you to reload the web page that is currently loading, and acts exactly like the refresh button in your standard web browser. viii. Fill form: The ‘Fill Form’ button allows us to still automate the auto filling of the forms located on these websites using the information stored in the article that is selected. If a website does not auto fill on its own, simply click the ‘fill button’ and it should auto fill. ix. History: The Â‘HistoryÂ’ button opens five columns that display the status of various articles submitted to specific article directories. These columns are Serial No, Article Name, Directory, Date-Time and Status. The columns exhibit the successful or unsuccessful status of the articles in each article directory which was being submitted at the respective date and time. x. 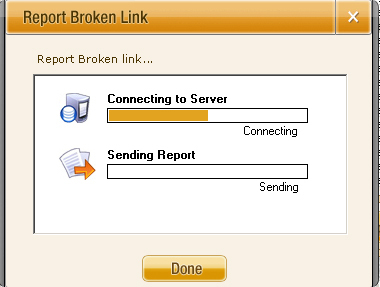 Report Broken Link Tab: This allows you to notify that the selected article directory might no longer be accepting article submissions, or may simply no longer load at all. This allows software to keep your article directory list clean. iv. About Us: As you click on about us button a pop up window opens up. It gives information about the product, its copyrights, its version etc. A user can learn the functionality of the software by clicking on the Â‘Help TabÂ’ which is located near the Minimize Tab. You can access complete and comprehensive Help File for the Quick Article Submitter 4.1.